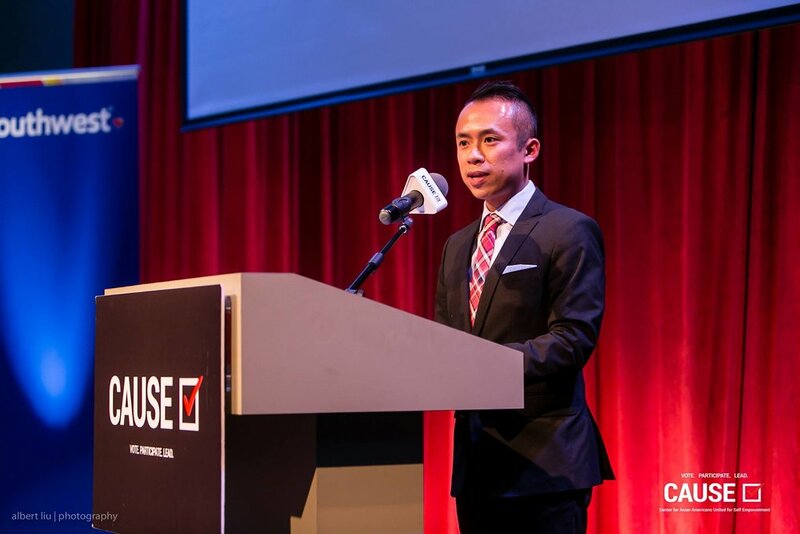 Jack Song, Marketing & Communications Lead at Lime Bike, welcomed the interns and served as the event’s MC. He shared how the CAUSE Leadership Academy prepared him for the rest of his professional career. Congresswoman Judy Chu delivered a keynote on the necessity of a leadership pipeline to guide aspiring APA youth. She points out how her own past Leadership Academy interns, CAUSE Executive Director Kim Yamasaki and CAUSE Programs Coordinator Zenni Duong, have grown into leaders dedicated to giving back to the community. Assemblymember Al Muratsuchi highlighted the way programs like the CAUSE Leadership Academy provide young APA’s the guidance and experience to become future leaders of their communities. He specifically recalled when Sabrina Inoue, as a little girl, would show up to important meetings with her mother, K. Anne Inoue, an attorney at law at the Law Offices of K. Anne Inoue. He shared his surprise at the realization that the Sabrina interning at his office with the CAUSE Leadership Academy was the same young girl he had met so many years before. 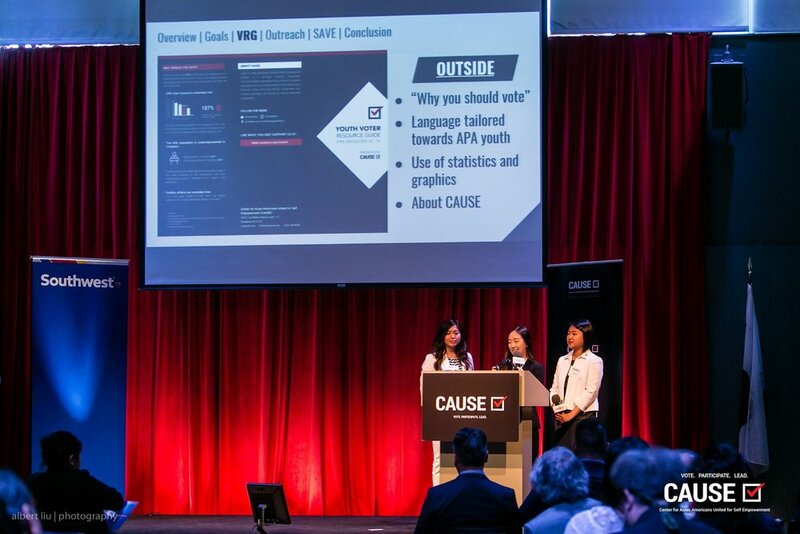 Erika Ngo, Olivia Zheng, and Helen Yu presented the cohort’s voter engagement project of the summer: a youth voter resource guide and voter outreach plan. The interns worked together to design an informative brochure informing high school students on how to pre-register to vote at 16, while also highlighting the importance of APA voter participation. After Hanah’s speech, the interns presented a short video, in which each intern thanked their supervisors and role models during their internship placements. Following the Leadership Academy interns’ presentation, Tammy Tran, Senior Community Liaison at Southern California Edison, delivered remarks on the company’s Edison’s continued support of CAUSE and the Leadership Academy program. Per tradition, CAUSE Executive Director Kim Yamasaki invited the 2017 class of Leadership Academy interns to make a small monetary contribution to next year’s class. This tradition places emphasis on the goal of always giving back to the community and the importance of being a philanthropist in one’s community. CAUSE Board Secretary Ben Wong closed the graduation with his inspirational reading of, “Even Eagles Need A Push.” Interns were encouraged to take great leaps of faith in both their professional and personal lives, knowing that they have the support of past generations to rely on.